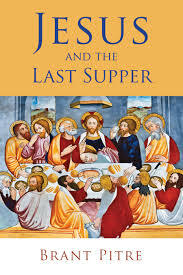 Before I began my new position here in Chicago I was slowly but steadily working my way through a serial review of Brant Pitre’s mammoth monograph, Jesus and the Last Supper. As I have been trying to get my bearings here at Loyola over the past five weeks, I have been unable to devote any real attention to blogging through the book. Our discussion over several weeks back in August generated some helpful dialogue that allowed us both to iron out some misunderstandings, discuss some areas of disagreement, and also establish some common ground. Before I continue my review in the next week or so, I wanted first to thank Brant for his willingness to enter into and then continue this dialogue. I wasn’t sure if he would have time or interest when I extended the invitation for him to respond. I also wanted to briefly respond to a few of Brant’s replies on my last post (see if you can follow the discussion trail: here, here, here, here; see also Brant’s posts at the Jesus Blog). Hopefully sometime in the next week, the post that follows will continue the review where I left off. I don’t want to get too off track from the review but I do think the external dialogue is important. You used the language of being “suspicious” of the “subtext” driving my conclusions. You’ll forgive me if this creates the impression that you are reviewing the book with a hermeneutic of suspicion. I want readers of the book will be critical, but not suspicious. I don’t think it too much to ask to focus on the text I wrote rather than on the “subtext” that only exists in the imagination. To this I would first respond by saying, “Yes. That is correct. I am reading this book with a hermeneutic of suspicion.” To be sure, I read every attempted reconstruction of the historical Jesus with a certain level of suspicion. That’s not because I am suspicious of my colleagues’ abilities or their intentions. It’s largely because I have become persuaded through my own research and by reading the works of scholars like Dale Allison (and others), that there is very little that we can know with any real certainty about the historical Jesus. So, if it seems as though I am giving Brant or his argument a “sideways eye,” (which I am not), it’s only because a lot of reflection has led me to a starting point of this type of suspicion. I would add to this, however, that I don’t think awareness of subtexts is a negative thing or even necessarily a sign of suspicion. Being aware of subtexts is eschewing the simple naivete that attends many attempts to simply “tell you what the text is saying” (which I think is near impossible). We all have a set of lenses we use to interpret these texts and those lenses shape, form, inform, and even taint our very best attempts at objectivity. That’s one reason I keep insisting that you focus your critique on my arguments rather than repeatedly emphasizing that I conclude that “everything” historically plausible, as if that alone was somehow a sufficient refutation. This is especially true if you recall that by “everything”, we are only talking about 6 of the over 360 pericopes found in the gospels. Now, if you think the use of E. P. Sanders’ triple-context approach to historical plausibility is flawed to err “on the side of historicity,” then by all means, critique the method. Show where and why the historical arguments from (1) contextual plausibility, (2) coherence, and (3) consequences in the early church break down or don’t work. But the thrust of your review seems to keep falling on the fact that I concluded that all 6 pericopes associated with the Last Supper are historically plausible, as if my conclusions alone show the historical arguments to be invalid or worthy of “suspicion” rather than evaluation. Of course conclusions are part of the argument and therefore fair game, but what I have yet to hear from you is *why* my conclusions *do not follow* from my arguments. That’s where I’d like to see the discussion go. (1) First, I have specific problems with the use of “coherence.” In the days when the criteria of authenticity reigned unquestioned, I always found the so-called “criterion of coherence” to be one of the least convincing approaches to deliberating on the historicity of a given saying or event in the life of Jesus. In my teaching, I often refer to the criterion of coherence as a “drip pan category having little, if any value.” In my estimation, “coherence” is a slippery category because it allows a given researcher to engage in what often appears to be a specialized level of subjectivity: “Now that I have established X as being historically plausible, allow me to make the case for the historicity of Y & Z, which clearly cohere with what I have already established.” To me this is terribly problematic. As I have indicated, I think the notion of coherence is brimming with opportunities for subjectivity to creep into our reconstructions. Now, I do want to be fair and acknowledge that Brant is not using the criterion of coherence as it has been classically formulated, but he is using coherence in a way that, to my mind, allows him to get away with the same type of deeply subjective suggestions when arguing for historical plausibility. (2) Second, if the Gospels are participating in the genre of Greco-Roman biography (bioi) as Brant concedes (and as most agree), then another methodological concern rears its head. (In saying this, I am critiquing more than just Brant’s book but much historical Jesus scholarship in general.) If you read the works of classicists working with other bioi (e.g., Plutarch, Tacitus, Lucian, etc.) they are asking a very different set of questions than what historical Jesus researchers are often asking. In fact, I would argue that an element of special pleading is embedded in the way we think about the “historical Jesus” that neither classicists nor other historians would allow when approaching ancient Lives. With the nature of the gospel genre at the center of our deliberations, I am not persuaded that we can establish with certainty, precision, or even the levels of “plausibility” attempted by Pitre, that given words, deeds, and more importantly, mindsets can be isolated in the various presentations of Jesus the gospel narratives. Against that backdrop, I think Pitre’s arguments often function against the genre with which he’s working. When we treat Jesus as a historical figure and offer our reconstructions from the gospel material, I think we must pay close attention to the way characterization functions in ancient literature. Otherwise, we end up with a modern character whose inner-life can be profiled with precision—something that would not have been available within this genre of literature. While I could say more concerning methodology, my *brief* response to Brant’s questions is running long. I imagine I will say more in the course of my review. Second, I understand if you found my section of gospel genre and historical plausibility inadequate. I accept the criticism that it was too brief and I could have said more. What I took exception to was the claim that I “never” gave “any kind of statement” about the genre of the gospels. Yes, the statement was brief. But it wasn’t really in passing. It was at the beginning of a crucial section dedicated to how I understand what the gospels are and its implications for what I mean by “historical plausibility” (pp. 46-50). There I chose to focus on what I consider one of the primary “pitfalls” of gospel analysis: the search for the exact words of Jesus and the failed positivistic attempt to reconstruct “original forms.” I understand if you think more needed to be said. I would have liked to say more too, but this it isn’t a book about the origin and nature of the Gospels. It is a case-by-case analysis of a handful of episodes related to the topic of the Last Supper. I appreciate this being spelled out in greater detail. While I agree that one pretty major pitfall of gospel analysis is the search for the *exact* words of Jesus, I also see a certain degree of historical positivism in the approach taken in Brant’s book, especially the suggestions about how the gospel accounts of these six pericopae should be harmonized to create a more coherent picture. The harmonization approach strikes me as out of keeping with the genre of the literature we are examining…..but I know this is a subject on which Brant and I clearly disagree (and it continues to be a question across a certain sub-section of historical scholarship). I will get to this critique in future posts. Third, you’re right: I didn’t answer your question: “What kind of evidence do the gospels represent?” So I will try now to give a brief answer: In my opinion, the four gospels are first-century Greco-Roman biographies, written within the living memory of the events they purport to record. Written from a post-resurrection vantage point, they reflect the understanding of later tradition and theology (e.g., Luke 24:45; John 2:22, 7:39; 14:26). Their intention is to provide accounts of the life of Jesus of Nazareth, with specific attention to what he did and said, and how he died and rose again, in order to lead others to faith in him. Like other ancient Greco-Roman biographies—Lucian’s Life of Demonax, Suetonius Lives of the Caesars, Josephus’ Life of himself—the gospels are not necessarily chronological (Suetonius, Life of the Deified Augustus, 9), nor are they comprehensive (Lucian, Life of Demonax, 67; Plutarch, Life of Alexander 1.1). Nor should the speeches within them be considered to be verbatim accounts of what was said (cf. Thucydides, History 1.22.1). As a result, any attempt at reconstruction of the life of Jesus should avoid the pitfall of confusing exactitude with historicity by focusing on the substance of the sayings and actions attributed to Jesus. With that said, the gospels seem closely akin to those bioi that are concerned to stress their historical “veracity” (Josephus, Life 336-39) and rootedness in eyewitness testimony and proximity to the subject (Lucian, Life of Demonax, 1). This seems to be why two of the four emphasize that their accounts of what Jesus said and did are based the testimony of “eyewitnesses” (e.g., Luke 1:1-4; John 19:35; 21:24-25). All of this taken together provides good grounds for the investigation, on a case-by-case basis, of the historical plausibility or implausibility various sayings and deeds attributed to Jesus, as well as events the gospels purport to have taken place. I appreciate this more fulsome description from Brant. I have already (see above) registered some of my concerns about gospel genre vis-a-vis historical Jesus research in general and Brant’s work in particular. There’s actually much that I agree with in Brant’s paragraph and I’m glad to see him lay out his understanding of the gospel genre in these clear terms. I also want to say that I appreciate how collegial Brant has been throughout our exchange thus far. Most people that I have heard from have seen us as engaging in rigorous dialogue while remaining friendly. I do hope this is coming through. One comment in the previous post questioned the “tone” of the conversation but for the record, both Brant and I believe it is possible to register strong disagreements and still treat one another well. I hope to get back to blogging through the book in detail in the next week or so. For now this exchange will have to suffice for keeping the conversation going. I look forward future exchanges (as I hope others do)! Be on the lookout for Mike Bird’s latest offering, An Anomalous Jew: Paul among Jews, Greeks, and Romans (Eerdmans, Oct 2016). This book is a mix of some previously published material on Paul and also some original work. Unlike some other collections of this kind, this one hangs together pretty well, and several essays are extraordinarily lucid and rich. Paul was a maverick apostle, an inimitable thinker, and anomalous Jew. Bird cogently sets Paul within his world, not to domesticate him, but to draw out his peculiarity. This is engaging reading, peppered with fresh insight into the historical Paul. Though Paul is often lauded as the first great Christian theologian and a champion for Gentile inclusion in the church, in his own time he was universally regarded as a strange and controversial person. In this book Pauline scholar Michael Bird explains why. An Anomalous Jew presents the figure of Paul in all his complexity with his blend of common and controversial Jewish beliefs and a faith in Christ that brought him into conflict with the socio-religious scene around him. Bird elucidates how the apostle Paul was variously perceived — as a religious deviant by Jews, as a divisive figure by Jewish Christians, as a purveyor of dubious philosophy by Greeks, and as a dangerous troublemaker by the Romans. Readers of this book will better understand the truly anomalous shape of Paul’s thinking and worldview. -The study notes and occasional excurses are informative and do not over-interpret a verse. The notes seem fair and flag up when the information points in more than one direction. -The study notes try to stick to cultural information and do not push into settling on one interpretation of a debated issue. This is important because I worry about study Bibles instilling in readers too much confidence in a 3-sentence “solution” to a complex exegetical problem. We will have more on this book in due course. We will post an interview with the editors and possibly even have a giveaway. Stay tuned……. I have heard it in person, I have been questioned on Facebook, I see it all the time on blogs: does the world need more commentaries? Myth: Commentary series are all about money. What about the publishers? Trust me, none of the editors I know drive a Mercedes. I used to work for a publisher so I know more about them than most academics; they live “modest” lives. Perhaps some publisher-CEO somewhere is doing well ($$$), but probably not off of academic commentaries. OK, so why commentaries? Aren’t there enough out there? Well, yes and no. Yes, there are plenty more out there than a generation ago. And, yes, we are seeing some works that don’t serve much of a purpose as they are re-hashing other commentaries. BUT here are three reasons why I continue to write commentaries. #1: Staying grounded. I write commentaries so that I can stay grounded in the text, and not float away into theories and constructs. I try to stay active with at least one commentary at a time so that I am continually being challenged inductively by Scripture as I work verse-by-verse through a text. As I write more thesis-driven books, doing the commentary work makes me a much better theologian, and it keeps my exegetical skills fresh. #2: Commentary-writing is the responsibility of every new generation. It is not just about word studies and new methods. It is a challenge to each generation to wrestle and reckon with the Word of God in the changing state of life on earth. There is a reason why many of the best theologians throughout history have preached on or written through biblical books (e.g., Chrysostom, Calvin). It is a salutary sign that many pockets of the modern Church are wanting to hear God anew and respond. Are there dull, uncreative commentaries out there? Sure, but some commentary (e.g., by Luther, Barth, Martyn) have shaped scholarship in significant ways. #3: We are welcoming new voices and locations into the commentary-writing world of scholarship. Particularly distinctive of commentaries in the last decade or two is the push to include new perspectives and voices, particularly those of women (e.g., excited about Gaventa’s Romans), non-Caucasian Westerners, and global scholars. Personally, I am very excited about this and the impact it can have on both the academy and the Church. In 2003, David Gushee and Glen Stassen published the first edition of Kingdom Ethics: Following Jesus in Contemporary Context (originally with IVP). This year the second edition was released (now with Eerdmans). A lot has happened in the last decade or so, not least in the area of New Testament ethics. In 2014 Stassen passed away, which means Gushee did the majority of work on the second edition with aid from students of his and Stassen’s (see preface). This second edition is a bona fide “new” edition, with some significant changes, re-arranging, and fine-tuning. The heart of the book – drawing from a theology and ethic of Jesus bringing the reign and kingdom of God (and emphasizing virtues such as peace, justice, healing, inclusion in community, joy, God’s presence) – is the same, but there has been quite a lot of updating (beyond just adding bibliography entries). For its time (in 2003), Gushee/Stassen were forward thinking and groundbreaking with respect to an integrative and interdisciplinary approach to ethics. As a biblical scholar myself, I find their work very refreshing and they handle Scripture carefully. Also, one will quickly notice that they draw from such a wide range of sources and scholarship, both academic and popular. About the first half of the book works out the Scriptural and theoretical dimensions of their ethical approach, and in the second half they turn to various pressing ethical issues of our day (e.g., criminal justice, divorce, war, creation care, sexuality, etc.). I really like the tone and direction of this work. They are good writers and often try to work from their theory rather than offer simplistic solutions. I do wonder what the entailments are of shaping theological ethics particularly around Jesus vs., e.g., Paul. 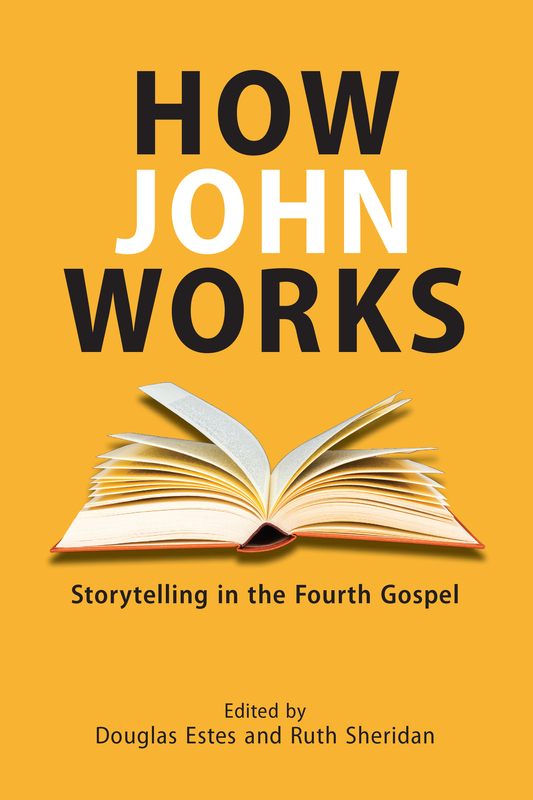 The first half of the book dwells on the work of Jesus, but mostly through Matthew and Luke. What about John (which receives very little interest)? Also, their first half is all about kingdom, but they appeal much to the “church” in the second half – what is their ecclesiology and how do kingdom and church relate? These questions notwithstanding, this is a great ethics book to read and with which to engage. I didn’t get a chance to mention this last week, but last Monday several of my friends on social media shared a blog post by Stanley Porter in which he appeared to come to the defense of Peter O’Brien in the midst of recent revelations about O’Brien’s plagiarism across three of his commentaries. A number of my friends shared this post (several approvingly), but in my opinion, Porter’s response was simultaneously condescending and tone deaf, and in places, a bit self-righteous. I’d like to respond to a few excerpts and wonder aloud about what Porter was thinking…. 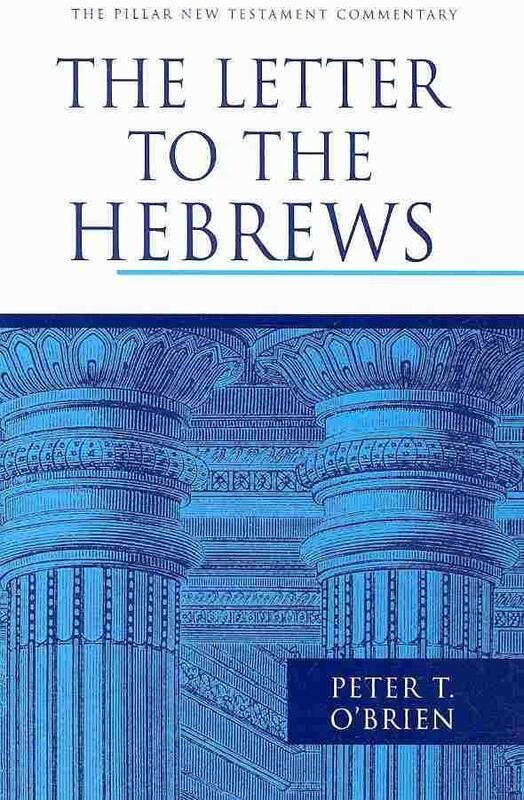 “Eerdmans editors compared the text of The Letter to the Hebrews (Pillar New Testament Commentary, 2010) with various secondary sources and submitted findings to external experts for verification. Summing up the findings, Editor-in-chief James Ernest said, “Our own editors and our outside consultants agreed that what we found on the pages of this commentary runs afoul of commonly accepted standards with regard to the utilization and documentation of secondary sources. We agreed that the book could not be retained in print” (emphasis added). My first response would be to say that I think Porter is guilty of overstatement here. In fact, he appears to indict this current generation of commentators of being guilty of the same sort of infraction committed by O’Brien. But, let’s just for the sake of argument, grant that Porter is not guilty of hyperbole here. I think we can all agree that it is unprecedented, at least in recent memory, to have a major publisher in the field of biblical studies completely pull not one but three commentaries from circulation. Remember, this decision was arrived at through a collaboration of Eerdmans editors and outside consultants. So when Porter says, “if he did plagiarize (and I wish to question this),” he sounds more than a little arrogant. Surely a cadre of experts both within and outside of Eerdmans’ editorial staff can be trusted to adjudicate this matter fairly, can’t they? Let’s call this paragraph what it is: sheer editorializing on an unrelated issue (viz., the trajectory of our understanding of plagiarism across literary history). We are not in living in the 16th century when Shakespeare wrote and we are not living in the first century when the apostles wrote. There are clearly delineated understandings of what constitutes plagiarism and theft of intellectual property. “Writing” and “borrowing” are not regarded in the same way today as they were during the time of Shakespeare or biblical writers. This entire paragraph is simply a red herring (and a bit of grandstanding). A real and substantive offense was committed here and we should laud Eerdmans for their response. Let’s remember that O’Brien didn’t deny these accusations. In fact, the plagiarism was deemed so blatant that Eerdmans was willing to (1) discontinue the commentaries, and (2) replace the books with other volumes for those who wanted to send their O’Brien volumes in. “[U]nfortunately, there are fewer and fewer scholars really competent to comment upon the text but ever-increasing demands to write new commentaries to fulfill the demands of publishers. There are plenty of scholars willing to unload their theologies and other agendas on each and every biblical text, but few that I have found who are equipped to wrestle in new and distinct ways with its very language. As a result, it is not only easier but has become the norm to use the previous work of others. So let me get this straight? This type of “not-really-plagiarism” is part and parcel of what commentary writing IS, HAS BEEN FOR YEARS, and CONTINUES TO BE and is therefore not necessarily a bad thing. But, this state of affairs is ALSO the result of shoddy scholarship by a newer, younger group of scholars who aren’t really up to the task of commentary writing? Which is it? I’m not sure Porter can have it both ways. It sounds to me like he’s speaking out of both sides of his mouth. Perhaps the problem is not that there are too few scholars currently capable of writing good commentaries but rather, that a handful of luminaries—especially within evangelical circles—consistently wind up with multiple commentary contracts (and their concomitant deadlines) and are simply unable to meet the demands in a fair and intellectually honest way? I understand loyalty and I can appreciate not wanting to kick someone when they’re down. I also understand the instinct of one senior scholar wanting to give the benefit of the doubt to another senior scholar (especially one from similar race, gender, and theological demographics). However, we need to be able to call a spade a spade, and wholesale quotations from someone else’s commentaries that are unattributed amounts to plagiarism, pure and simple. Perhaps the reason why there has been so much “righteous indignation” (Porter’s words, not mine) over this issue is that many in this field (myself included), are passionate pedagogues who wish to hold our students to the highest standards of academic conduct. I have been teaching in higher education for the past twelve years and I have caught plagiarized work nearly every semester during those twelve years. How can we hold the students to such a standard if the experts won’t do it?